Colorful Hospital Design Gives Hope – Commercial Interior Design News. Teletón Infant Oncology Clinic is Full of Colors! 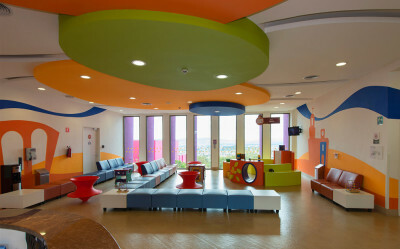 Teletón Infant Oncology Clinic in Queretaro, Mexico used Sordo Madaleno Arquitectos as their interior designer for its Queretaro rehab center. 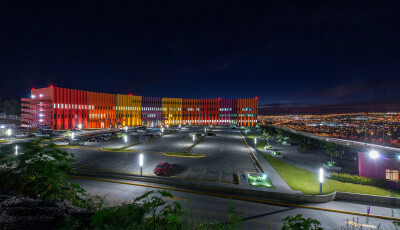 The city of Queretaro was chosen for its centralized location and easy access in Mexico. The thoughtful intentions and skills of the SMA designers make this one of the most unique designs created for a clinic. 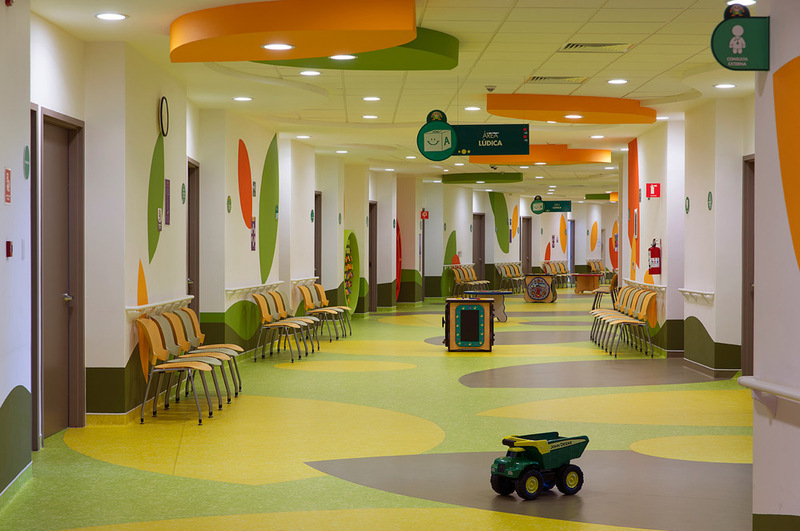 Cancer is one of the leading reasons for infant death in Mexico, and the interior designers created an atmosphere of hope in their rehabilitation center design. An uplifting plan was needed for this structure. 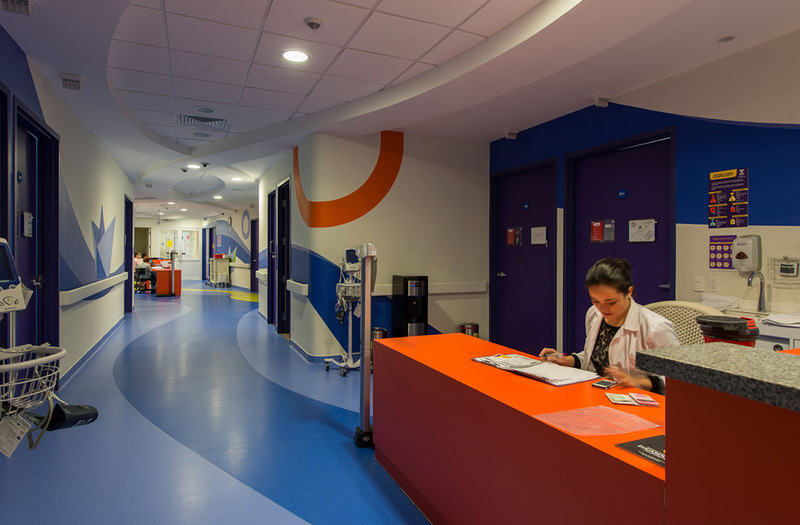 Teletón Infant Oncology Clinic offers its patients nine brightly colored segments which each contain departments such as radiotherapy, laboratory, imaging, chemotherapy and an intensive care unit. A chapel was also included to comfort and meet spiritual needs of its tiny patients and their families. 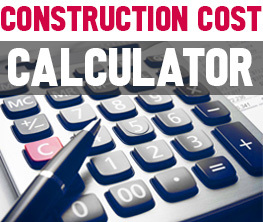 The building is both highly functional and beautiful inside and out. The wavy design of the center represents a chain of cells making different movements, and represents cellular rejuvenation. The unique structure of the building is supported by external rather than internal columns. This exterior column design both protects the outer part of the structure from the blazing Mexican sun and adds to the feeling of movement and regeneration. The building is located in high spot in the rolling hills of the area, and gives patients and staff a phenomenal view to enjoy while recuperating. This uniquely designed building uses both exterior and interior design to make it a beacon of hope for those suffering cancer in the area.